A so-called OP-release is usually necessary before planned operations. 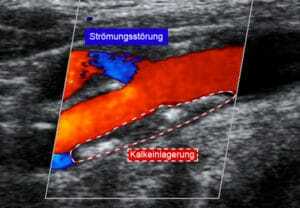 An ultrasound of the blood vessels can, through different colours, show the blood flow as well as limescale deposits (in the context of arteriosclerosis). It is also particularly suitable for the diagnosis of varicose veins. During the examination, a special gel is applied to the skin so that the ultrasound waves, emitted by a transducer, are better guided. This examination is painless and uncomplicated; in most cases it can replace the unpleasant invasive angiography. In order to effectively treat blood flow disorders an opening or expansion of the vessels is often necessary. 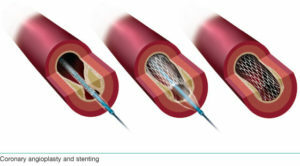 In catheter treatment, a catheter is inserted into the affected vessel under local anaesthesia, usually in the groin, and constrictions and occlusions are stretched with the aid of a balloon.